Google have announced that from October 2017 all websites that are not protected with HTTPS security will show a ‘NOT SECURE’ warning when users enter text into the site. This will apply to search fields, contact forms and any area of the website where users input any information. Google originally announced that they would be making these changes to the information they provide users when accessing websites using the Google Chrome browser (accounting for over 40% of website sessions) at the end of 2016. 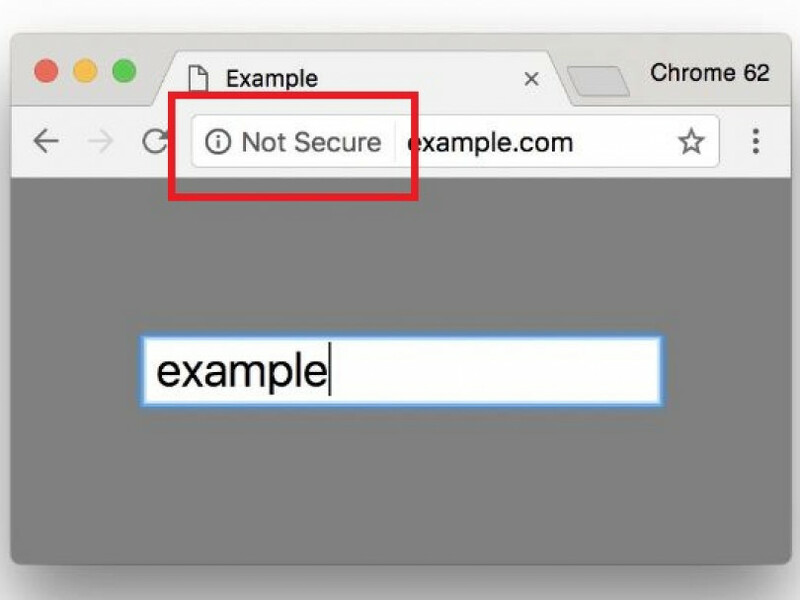 Earlier this year an update included an information icon in the left of the address bar for websites that are not HTTPS secure. We have been expecting this latest update, effectively forcing all website owners to move to HTTPS security, as a move to evolve general online security and provide more protection to users. Where the last update could go unnoticed by website users (particularly those using mobile devices), the changes coming into force in October will effectively force website owners to make the upgrade, or likely face a loss of enquiries through these new, stark, ‘NOT SECURE’ warnings. What do website owners need to do? If you access your website on a desktop computer and look to the left-hand side of the website address bar, you will see either the words ‘Secure’ in green or you will see the ‘i’. If your website has the latter, when you click on this you should see the message ‘your connection to this site is not secure’. This means the site should be upgraded to HTTPS. The process of upgrading involves the purchase of a TLS SSL Secure Certificate, which will need to be installed on the server where the website is hosted. You will need your current website provider to do this. They will also need to set up the new HTTPS pages for your website and then redirect the old HTTP pages to these new ones. The process is relatively simple, the time it takes will vary depending on the size of website that you have. There are varying costs for secure certificates depending on their type, typically ranging between £30 per year to £250 per year, for common certificates. It is very important that website owners take action as soon as possible. Ascensor have been gradually upgrading our client sites throughout this year, there have been a lot to get through and we have many more to do, but now the Google announcement has been made, time is of the essence. If you do not have a plan in place or you need further advice, then please contact us and we can advise you further and provide the information you need to supply to your website agency.